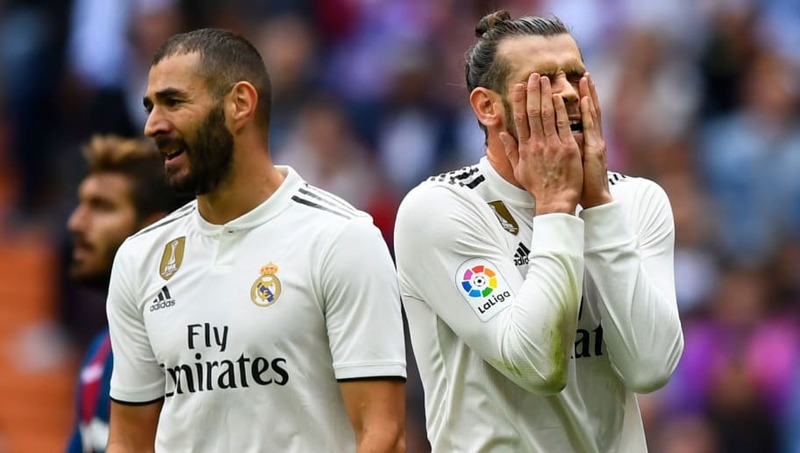 Real Madrid will look to return to winning ways this weekend when they travel to face Levante in La Liga, knowing a win could see them close the gap on Barcelona to six points. Solari will have the task of finding a replacement for the suspended Sergio Ramos, who saw red last time out in a surprise loss against Girona. Here’s a look at how they could line up. 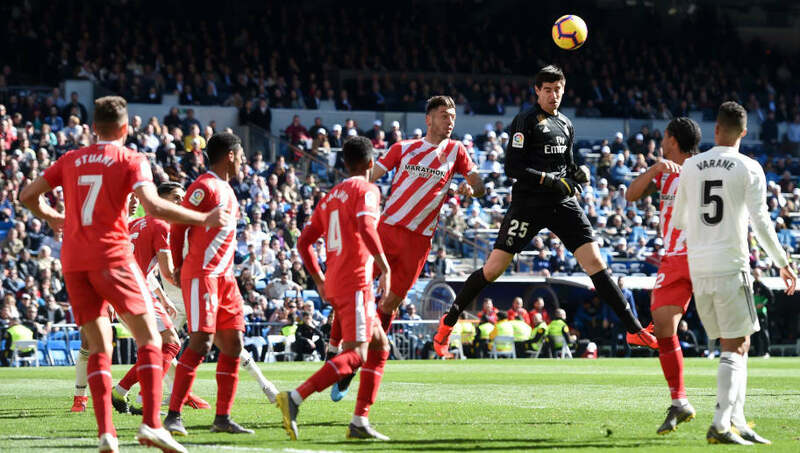 Thibaut Courtois (GK) – The Belgian stopper has kept just eight clean sheets in La Liga this term and will be keen to notch his ninth on Sunday, particularly after last weekend’s disappointing result. Dani Carvajal (RB) – Carvajal’s influence on the right side of defence was sorely missed last time out as he sat out the visit of Girona, but Solari will likely call on his experience and usher the Spaniard back into the fold this weekend. Nacho Fernandez (CB) – With Sergio Ramos ruled out through suspension, Nacho will likely be awarded his 12th league start of the campaign against Levante. Raphael Varane (CB) – The World Cup winner has kept just one clean sheet in La Liga since the turn of the year and will be eager to improve that statistic this weekend. Marcelo (LB) – The perennial Marcelo has been treated with kid gloves this term and has regularly been rested after he picked up a serious muscle injury early on in the campaign, but will likely be given a run out on Sunday in what should be a straightforward assignment for Los Blancos. Luka Modric (CM) – The midfielder was earlier this week recognised as the world’s best playmaker by the International Federation of Football History & Statistics. Casemiro (CM) – Casemiro’s goal last weekend was just his fourth of the season but he will likely be called upon this weekend for his defensive understanding rather than his attacking prowess. Toni Kroos (CM) – The German was influential in their 2-1 away win over Ajax in the Champions League and will once again be looking to stamp his authority on proceedings this Sunday. Gareth Bale (RW) – Though the Welsh winger may have one eye on the rugby on Saturday night, he will be fully focussed on the task at hand come Sunday, as he goes in search of his 13th goal of the campaign. Karim Benzema (ST) – With Ramos’ absence this weekend, Benzema will be the only man to appear in all of Madrid’s league outings this term should he feature against Levante. Marco Asensio (LW) – A recent muscle injury meant Asensio was sidelined for eight games, but he has since returned to fitness and even jotted his name on the scoresheet against Ajax last week.